Easter Warehouses open which are long endless rows of chocolate! I get to enjoy the holidays for Easter break – YAY! What is Easter without awesome, gorgeous, wish-you-could-eat-your-screen pictures? Nothing, I agree, absolutely! WARNING: Much chocolate is involved. Have a chocolate bar handy. Go Bake Yourself will not be held responsible for any heart palpitations. 1. Cinna-bunnies by the magnificent Seaweed & Sassafras (cool name right??). Cute puns galore, awesome presentation and delicious cinnamon flavours, these bun(nie)s would definitely adorn an Easter breakfast table! 3. 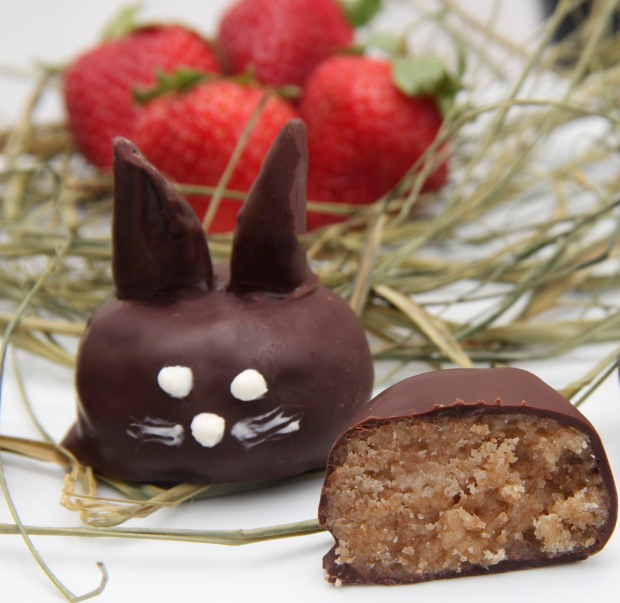 Chocolate-Covered Cookie Dough Bunnies by a newly discovered The Scrumptious Pumpkin. I am a lazy baker. I love taking the easy way i.e. eating the dough instead of the baked product 😉 – Celebrate Easter the relaxed way with this beautifully designed, cute like crazy bunny treats! 4. 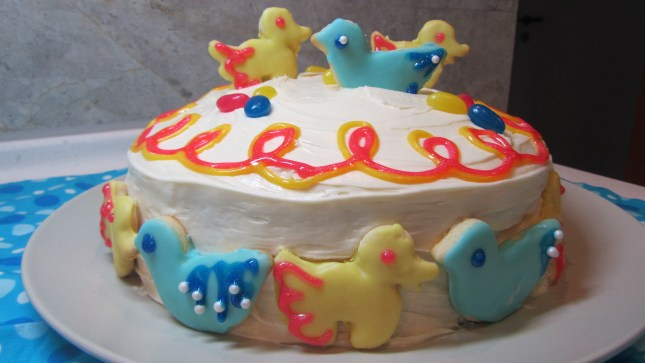 The Happy Spring Cake Cookie Delight by spectacular and one of my closest blogging buddies Bam’s Kitchen is one to be drooled over and marvelled at. She has two sons. One wanted cookies. One wanted cake. So what does this genius do? 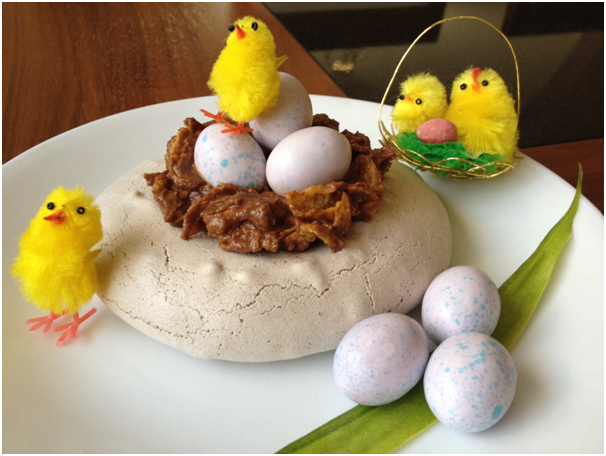 Put them all into one superb, dripping-with-Easter-spirit cookie cake, bien sur!! 5. 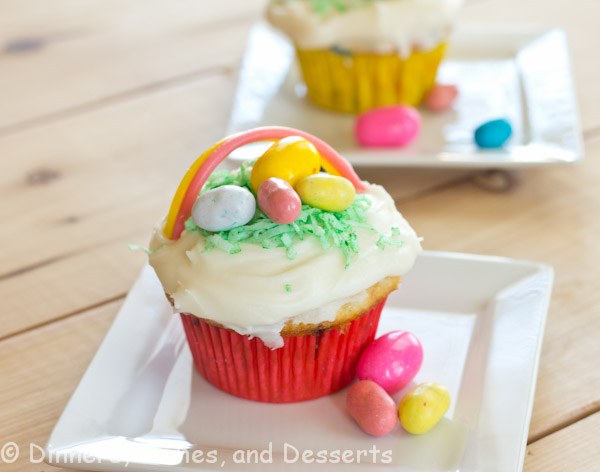 Easter Basket Cupcakes from the wonderful Dinner, Dishes, and Dessert are exactly as they sound. Sugary edible baskets carrying chocolate with the cutest and most adorable colours ever. Yep, I know I pinched myself too. Aren’t they lovely??? 6. 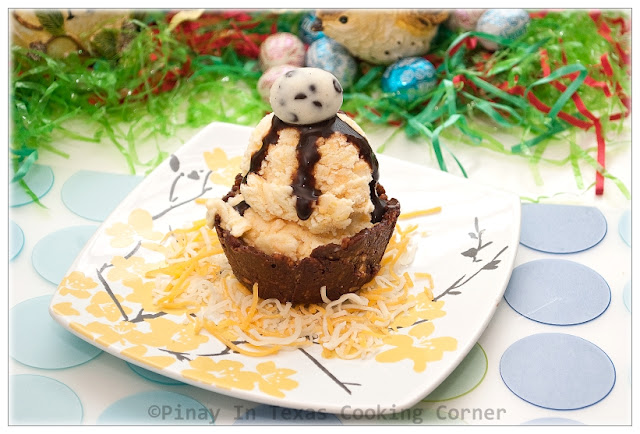 Mais Queso (Corn And Cheese) Ice Cream Nests from the much revered blog Pinay In Texas are for the adventurous, the daring and the totally food crazy. Chocolate cups, cheese, ice cream? Really can Easter get any more delicious? What a genius creation! Heidi @ The Young Grasshopper – A new blogger I have met who has such vibrant personality and food to match! Lacy @ New York City Eats – A definite sweet-toothed foodie friends whose pictures may just be the most mouthwatering I have ever seen! Natalie @ Food Atick – Too sweet, too good at baking and cooking and too awesome is best description! Last year in my food tech classes, we made the most soft and fluffy hot cross buns I have ever had in my life. Wow were they delicious! Just a little tip – my baking was done in 20-25 minutes so just be careful! Did I change anything – I am so surprised you keep asking! Also, you can use any cereal but Cornflakes or/and rice bubbles (rice krispies) give the best effect! Here you go! BIG HUGE GRIN! Loved the pictures-so creative! Very lovely post! Everything looks so good! Absolutely beautiful meringues. I’m working on a savoury one. You can see my attempts at macarons. Tasted ok but I’m lacking the beautiful smooth top. I think this is where the lack of sugar shows. I’m working on it though. Where there’s a will there’s a way. Don’t suppose you have any ideas? I am serisouly thrilled you enjoyed! Tremendous things here. I’m very satisfied to see your post. Thanks a lot and I am taking a look ahead to contact you. Will you kindly drop me a mail? Congratulations on your award and thank you so much for nominating me. You are so sweet! Your pavlova looks fabulous and I love that adorable nest on top. Too cute! Those chicks are so cute. I almost bought some this year. 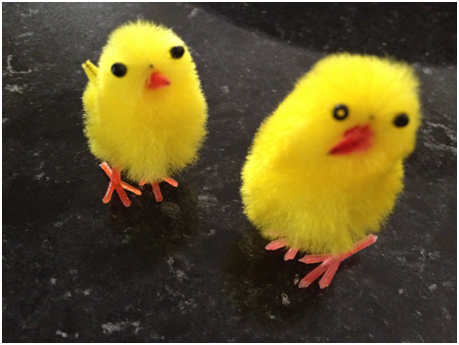 We have real baby chicks that we just hatched – adorable. I’d say you gave us a good taste of Easter treats! I did have a wonderful Easter thank you and hope you did too! You do love your chocolate, don’t you? 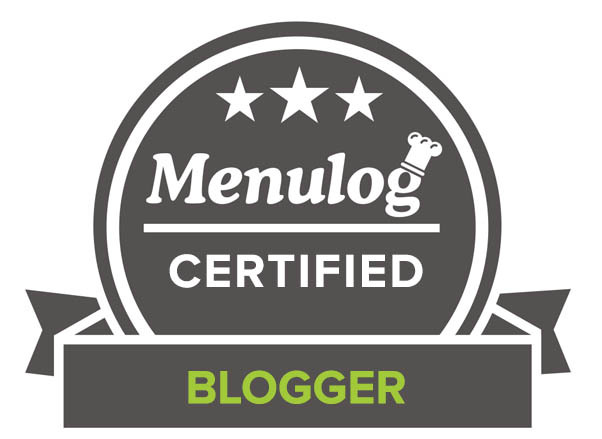 I love following your blog, so I would like to give you this award! And thank you very very much my friend for this award! I am very appreciative! I am so happy you loved it! You are amazing girl!! Congrats on your award, well deserved and you are a princess for sure! I hope you had a wonderful Easter and a fun week away! This is a great post, so full of ideas! I didn’t do anything for Easter as I was packing to move but I love seeing all these great photos! You’re pavlova is a fabulous creation! Wow Wee! All this goodness makes me wish tomorrow was Easter! I do too my friend – can never have enough of the chocolate season! Congratulations on your well deserved award…three times over. Good luck on your exams. Gorgeous! I love those bunnies! Thanks for the inspirations! Hot stuff! First off, that bunny ball is totally swoonable! And your meringue cookies, so cool! Perfect for Easter deliciousness. I hope you had a fab holiday! more chocolate way to go please! 🙂 love em all! The candy that comes with Easter is a delightful thing! 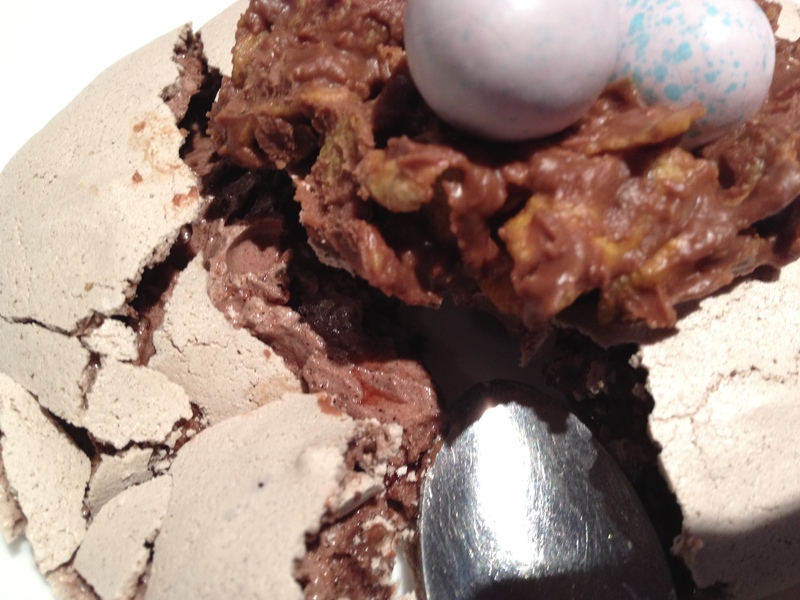 The chocolate meringue nests are so cute. Now, I want to eat more chocolate! Such an adorably cute Easter treat. I have never tried these type of dessert. Also enjoyed reading about your last post- the mistake cake. Very entertaining! My dentist would be a happy man if eaten all this under Easter. Love the small nests. Good luck with your exam. Don’t worry about the blog .. there will time later for this. What a fabulous bunch of Easter treats! Sometimes it’s hard to remember its true meaning after being blinded by all the chocolate readily available in every store, haha! What a happy post. You seem like the most cheerful person I’ve ever not met. 🙂 Hope you’re having a terrific holiday. But I can definitely say the same about you! Fantastic linky loos! 🙂 loving all the Easter treats and happy belated Easter. I’m having issues with my google reader. As you know I’m subscribed (remember me sending the screen shot in my reader app?) somehow something has gone funky with google and a LOT of my subscriptions have gone missing. No idea what has happened but I’ve lost a lot of blog subscriptions, yours included. I definitely did not unsubscribe. I was wondering why I haven’t seen any posts from you in my reader as your blog is one I remember seeing. So I’m subscribed again (hopefully) but rather sad about a lot of other blogs too. Perhaps time to send a message to Google support, ugh! Definitely time to give google a little nudge! Also, I know you’ve already got this award but here’s another! Lol. As a new subscriber who has recently found your blog, I think you have a great blog and therefore I’ve just awarded you and your fantastico blog with the Versatile Blogger Award. RSS bookmarking is definitely also another great way of keeping up! You are most kind and I too am your new follower! I’ve always been intimidated with pavlova but this post has given me just the nudge I need. Fabulous presentation. these are waaayyyyy too cute to eat! they’re little pieces of art work! Happy Easter chop chip uru!!! Wow you’re seriously looking forward to holidays which is fantastic! Me too (from cooking school also!) awesome post and v awesome Aussie bush Easter! I seriously loooove pavlova and that’s the type I so wanna sink my teeth into! 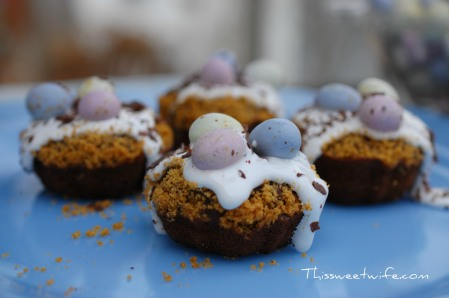 So cute your nest…love the pictures and the recipe! Thanks you for the round-ups, awesome. The round up was do much fun to do! oh my god these are all soooooo adorable! My my you have been busy! I love your meringue doughnuts! Have a great holiday! And we’ll all be hungry when you get back, ready for another wonderful post. Like this one – really nice recipe, and a fun read. Thanks. 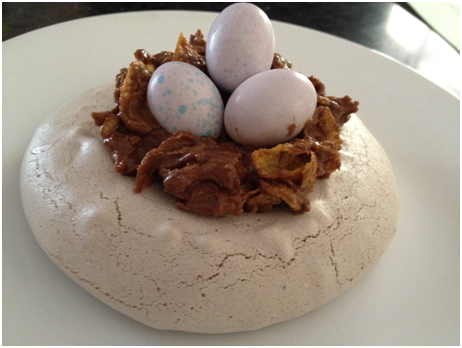 the pavlova looks perfect with the lovely meringue nest!! This is such a cute creation for Easter! It was an impulsive thought to put pavlova and nest together! Ack! I wish I weren’t so far behind in your blog. This year I was requested to make a pie, but next year I want to try each and every one of these ideas! My little chicks and bunnies were the closest I came to anything thematic for the day 🙂 Hope you’re having a great break! This is so darn cute! 🙂 What a perfect plate for Easter. i love the chocolate bunny! 🙂 too cute to be eaten! Love the fuzzy chicks! Great festive post. Enjoy your vacation, we look forward to your return. Omigosh! Omigosh! Omigosh! so cute so cute! you must be v. enjoy your Easter day ^.^ so creative and thumps up!!! Look at all of those amazing treats!! What a great collection you gathered for us!!! And your own addition is a delectable one indeed! Happy Easter!!!! So creative, your Easter table is beautiful! Awesome, you’ve inspired me! So glad that you get to go on a break before you come back and do your exams! Stop apologising silly! it’s okay to step away from the food blogging world once in a while and it’s okay to not comment 🙂 we all understand! Have a wonderful holiday and good luck with your up coming exams! Also. thank you for understanding – I can’t wait to get out of this rush and come back into the foodie world! Wow! What a great post! I want to make everything you posted. Hope you have a great Easter, and good luck with those exams. And I definitely need the luck so much appreciated! ooooh that looks sooo cute ! and so good ! Wish u a happy easter! Awww, thank you! 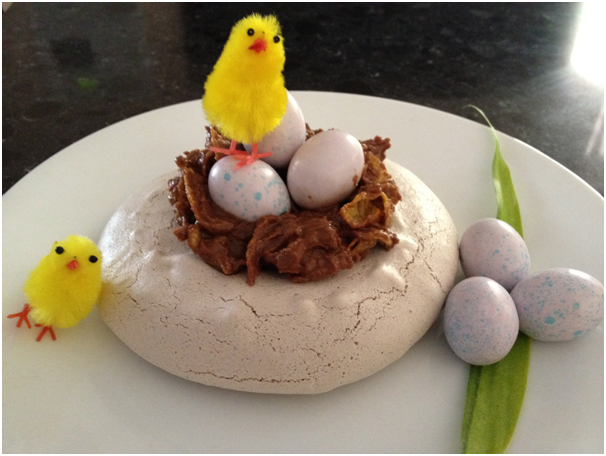 Pavlova Easter baskets, so very cute and so very delicious!!!! My pleasure my friend 😀 – Thanks for enjoying my post! I just showed the picture of your adorable and creative pavlova nest to my youngest ponytail and she keeps saying “mummy can I have that now” mummy I want that now”. And it I had the energy at this very minute I would make it ….but I’m afraid that I don’t. Maybe later this weekend…. You have compiled a lot of seriously gorgeous food here–Those cinnamon bunnies! Your meringues! Passover starts at sundown tonight, so I’m going to have to get creative with dessert over the next week, but I have serious Easter dessert envy. i love a pavlova but have never tried making one myself. yours looks like it turned out great! and lovely easter roundup, too. have a great weekend!! Thanks 😀 – I definitely think you should try it, so much fun! Glad you enjoyed the post my friend – Have a wonderful upcoming weekend! Your meringue nests are so cute! Good to hear you had fun with it. 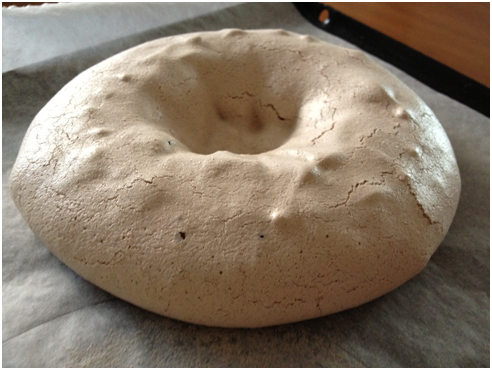 I love meringue but have never made it! What a lovely cake! Congratulations on all awards! You deserve it. How adorable! I have never seen anything like it. Brilliant! What a perfect Easter dessert! Such cute ideas! I went a little crazy at work today too and ate most of a bag of jelly beans! pics r beautiful..nice recipes.congrats on award. It sure is chocolate season at CCU! Love your round up, your own lovely creation and the introduction to your list of VBs, some of whom I already follow and the others I can’t wait to get to know. Happy Easter ! Thanks so much for enjoying this post! And I totally agree – chocolate loving is at its height! Feel free to use whatever you wish! That is so clever. Love it! The kids in my family would get a huge kick out of these at Easter Brunch. Just darling. Congrats on the award and thank you so much for passing to me! I love your cute Easter cookies. Happy Easter! I agree though, they are stunning! Everything is so cute! I love Easter recipes! Seeing all of these majorly festive posts made me absurdly happy! I first read this as “Give me a Gin for Easter”. But either way, it still made me happy! Hope you too have a very wonderful holiday and thanks for your good luck cause I will definitely need it! When is not chocolate season? Your pavlova nest for little chicks look adorable. 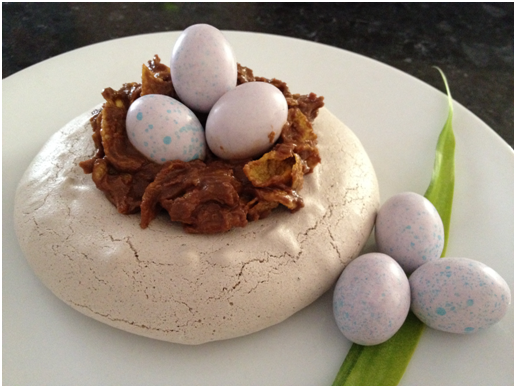 that meringue nest looks delicious! once i get a mixer i’m going to whip up some meringue and come back to this recipe. and thanks for visiting our blog! Hope you get it for Easter filled with easter eggs 😀 – Thanks for enjoying my post! It was a pleasure visiting your delish blog! What a great idea to dress up a pavlova! It’s so cute! Everything looks so delicious! Have a good holiday and enjoy your break. I am so glad that you posted all of those Easter projects so that I don’t have to post them (Can you imagine me painting like mad to illustrate everyone else’s creations?). The Pavlova looks good (I had a hot chocolate before reading this post). Enjoy your holidays and we’ll all see you when you get back. My pleasure to help out 😀 – Though your paintings would have looked awesome! This is adorable! It’s amazing how the nest actually looks like a nest. Great job! Pavlova FTW! Also loving that link to the cookie duogh easter treats. Happy Easter! 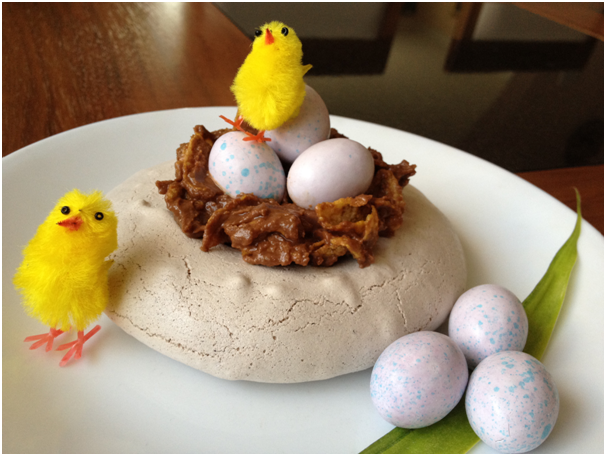 Love your meringue nests (and little chickies) enjoy your holiday and good luck on all those exams. Happy Easter! Well all of this looks so fabulously delicious and so, so darn cute! Happy Easter!!!! Enjoyed the post very much, I need some chocolate NOW! Love your creative nest and chicks. Have a great holiday! Thanks for enjoying both post and recipe! Aww, the cute fluffy chicks are out again. Loving your cookies with chocolate cornflakes (yum, love choccy cornflakes!) and fantastic round up! Such cute nests! I’ll have to make these for my baby nieces. And I hope they enjoy them! this luks really awesum.perfectly done. thank you so much for the award–what a sweet thing to do. 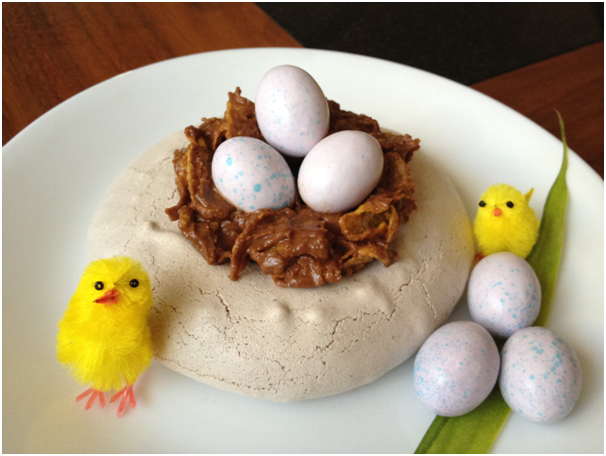 thanks also for all the amazingly clever easter ideas–you have such a creative mind! I have always been so intimidated by pavlova and refuse to try it! I hope once I do mine comes out as beautiful as yours! Thank you so much for enjoying mine! What an amazing collection of recipe! Oh so creative – I do not think I would have the stamina and patience – thanks for sharing! That looks so whimsical and gorgeous! yes, that many exclamations in my comments mean I am impressed. This really does make me wish that Easter celebration would last longer than a day! Then I could enjoy all these treats you have posted here in moderation! I love the pavlovas, great flavors and awesome presentation-yum! Also thanks for the links, some I have seen and some I have not. Great post! Oh my gosh gosh gosh!!!!! these all so pretty, cute and adorable. Am loving each one of the pics you have shared. Glad you enjoyed this so much my friend! Oh and I forgot to mention – your nest is just too cute! I’m sure the kids would love these. I hope your entire family does! This is an endicrinologist’s nightmare, and I love it! What a great round up and recipe, Uru! And you can never go wrong with a holiday that celebrates chocolate. Yum! Cute post, and adorable photos! Thanks for sharing and have a lovely day! And I would love to see you making something extraordinary out of my little dessert next year! Haha I know right? Thank you and hope you too have a great season! I’ll have one of each, please! Oh yes, I do love chocolate and I am for sure now in an Easter mood. Congrats on your award, always well deserved. And as always, I enjoyed your post and your pics. Happy Easter to you! 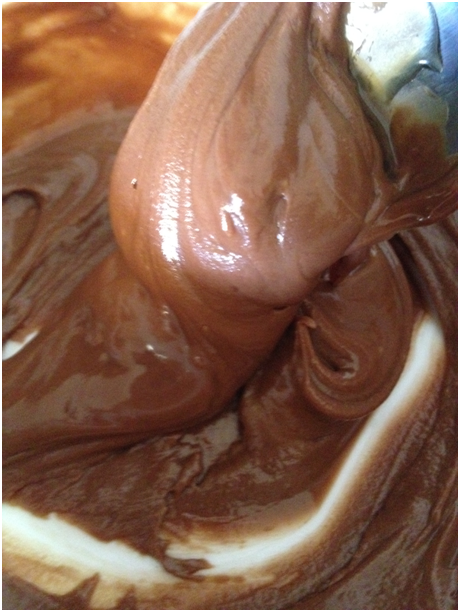 Thank you for such kind words and enjoying this post fellow chocolate lover! I love all warnings that involve an abundance of chocolate! For the longest time I have been craving those cadbury eggs with the thin crackly candy exterior and chocolate inside…. Looks like I have given you the boost – have fun fulfilling cravings my friend! Hope you, your kids and your entire family enjoy the chocolate season! So much chocolatey creativity! Chocolate brings out the best in people, don’t you think ;-)? Thank you so much for enjoying it! Happy Easter to you! Keep the chocolate coming!! You really know how to rally everyone to spread the Easter spirit. Love Love Love it! Your nest is brilliant, so adorable I think its gorgeous and so creative! You totally rock and thanks for the blog award I will surely pass it on! What a cool & cute Easter post! Thanks for the feature, girl! Wishing you a very enjoyable Easter break! Have fun but stay safe, ok! Thanks my friend 😀 Glad you enjoyed it! Pleasure to put you both in post and give award – much deserved on both counts! Thanks for including my cupcakes! You picked some great Easter treats to share. And I love your pavlova, that is one of my favorite treats! 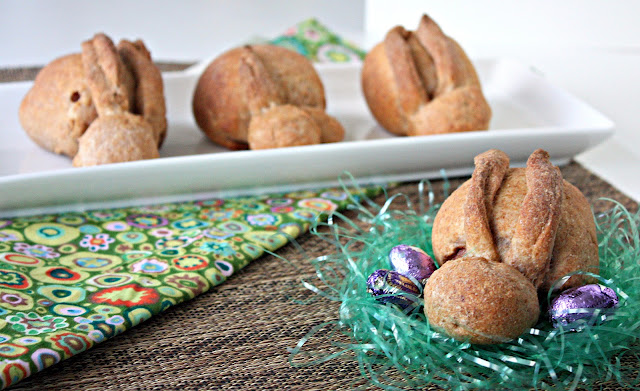 I might make some this weekend for Easter! It was my pleasure 😀 They deserved to be there and I am glad you enjoyed the entire spread! Your pavlova looks perfectly chocolatey! And I love the little chicks all over. So cute! Those cinnabunnies are adorable! I really need to get more into the spirit, first thing will be to go buy some chocolate! Ohhhh, this looks so cute and yummy. Those little chicks are so cute. I can never resist pocketing a few whenever I see them. Your nests are the cutest (especially those fluffy little chicks! )…I almost can’t think of eating them, oh who am I kidding? It’s chocolate! 🙂 Thank you so much for such kind words! Following you is a joy 🙂 Have a great trip girlie! It was my pleasure to include you my friend and so nice to know you enjoy my posts! You are so right “wish-you-could-eat-your-screen pictures?” I seem to have that issue all year long tho! 🙂 Lovely post as always and congrats on the awards! Thank you for enjoying my friend and I appreciate your support! I don’t celebrate Easter so much, just dinner with my family. I don’t even pay attention to window shops, but your post put me in the right mood for Easter so I’m going to take a walk and pictures discovering the Easter-vibe here in Milan! Thank you so much Choc Chip Uru for awarding me this award. It’s my very first and I’m completely blessed to be a part of your post. I have so much admiration for your incredible talent and enthusiasm and it’s a privilege to be a part of this blogging experience. On other sweet notes, I just love your meringue nests ~ so cute and adorable. I have a real fondness for meringues and using them as a nest is a terrific idea! 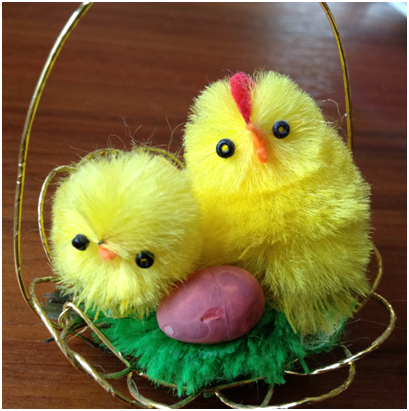 I hope you have a wonderful Easter holiday with your family. Your most welcome Choc Chip Uru! Happy Easter to you too! Thank u for your nice comments!!!!!!!! Remember, it’s chocolate – not diamonds – that are a girls best friend! I totally agree with you – chocolate over diamonds anyday!!! I absolutely love the nest as well! Thank you so much! I really appreciate it, and just love looking at your blog. Even when I have no time, I find myself scanning the decadent images and drooling at the thought of making them! And it was my pleasure to give you this award, it was much deserved! Thank you for being so sweet about my blog! What a lovely and fun Easter dessert!!! Have an amazing time on vacation and be safe! Thrilled you enjoyed it my friend 😀 – Thank you, hoping you have a wonderful holiday too! This is so kind and generous of you to give me this award. You really made my day! I hope you have a great Easter with family and friends. I love the meringue disk , it is so creative and looks adorable. Thanks for the great idea. I would love to make it for my daughter. She will be thrilled! It was my pleasure my friend – you defintiely deserve it out of all the more to come! So cute and it looks absolutely delicious. Great idea to celebrate Easter. Awwww!!! How could you not love this post when you have little chickies staring at you with the cutest expression!! What a creative recipe!! I actually don’t celebrate Easter that much… BUT! It’s the perfect excuse to bake bake bake!! I love the nest! I looks easy enough for me to make and so I will! Wish me luck. BTW, your “mistake” that I pinned? Last count, 50 people had repinned and no telling HOW many repinned from them………your mistake is famous!!! Thanks so much 😀 – I promise, it can be made by anyone! You were most kind to pin it!